Located west of downtown St. Louis, the new 90,000 sq. ft. facility replaced the old community center which was past its useful life. With strong support from the community for a new and enhanced community center, city leaders moved forward with the plans for the facility. They included a greater variety of activity spaces while maintaining the unique programs offered at the previous facility: multi-use event space, pre-school area, dedicated seniors area, meeting space, arts and crafts room, and a police substation. 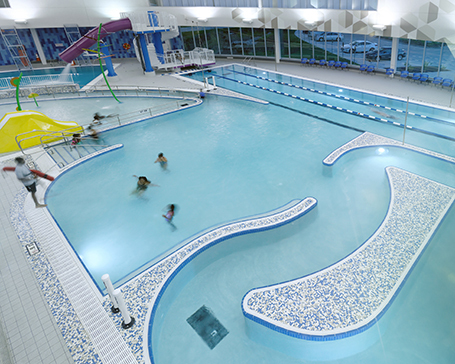 New components include an indoor family lifestyle pool with lap lanes, two multi-use activity courts, enhanced fitness center, three group exercise rooms, and an indoor walking/jogging track. 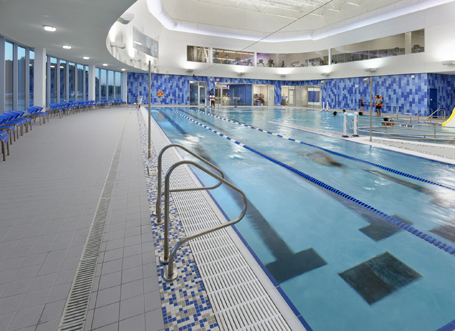 The project’s greatest challenge was incorporating all the desired program elements within the pool and keeping the overall footprint within the dedicated space for aquatics. 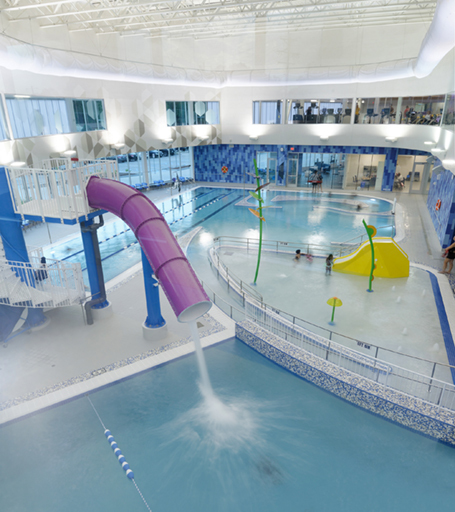 Another interesting aspect of the project included multiple ceiling elevation changes that required coordination for placement of vertical pool items such as the drop slide tower, zip line connections, and the climbing walls.